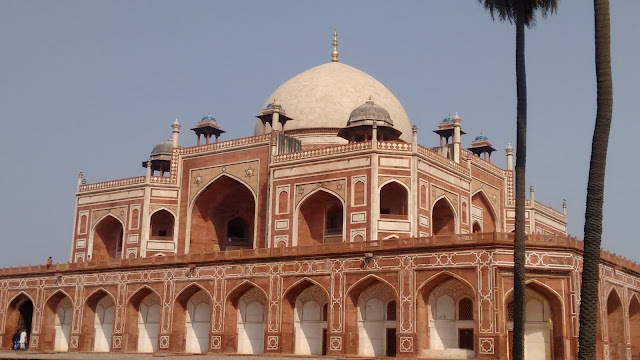 The long Lodi road from Safdarjung Tomb ends rather tamely at the Sabz Burj right inside the roundabout, or what is now popularly known as the Neeli Chhatri for its spectacular blue dome. 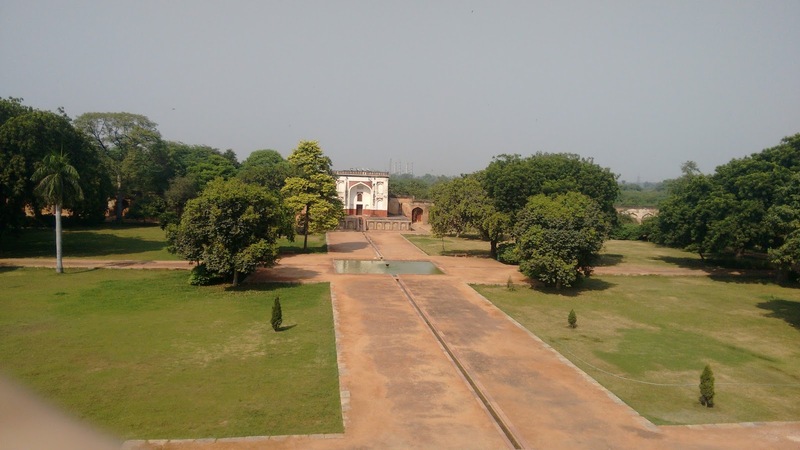 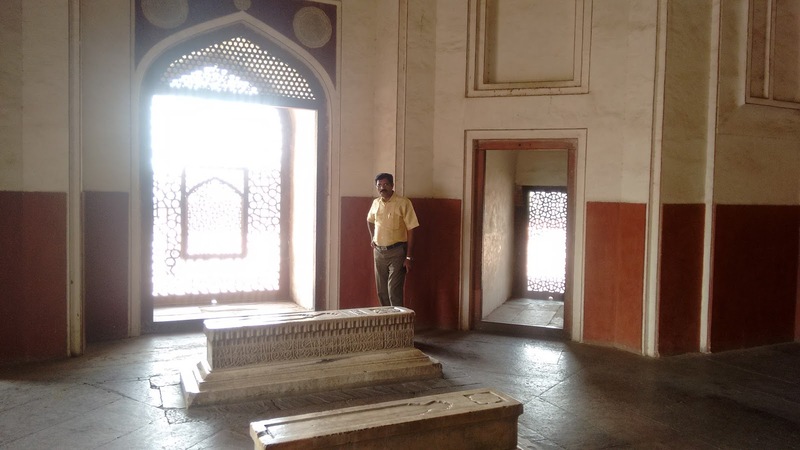 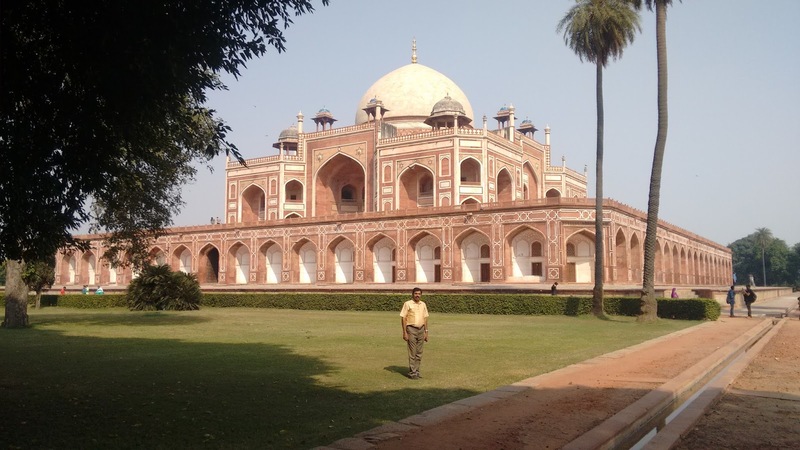 Take the second exit and you are already inside the Humayun Tomb premises. 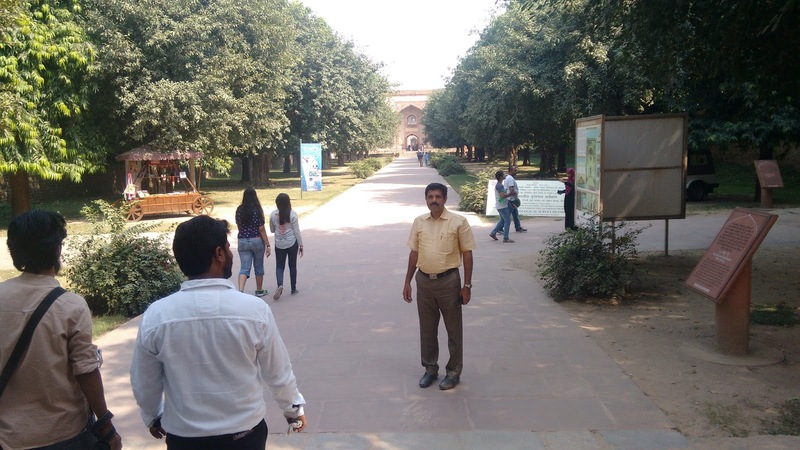 A short walk and an entrance ticket later, we entered the chirpy grounds. 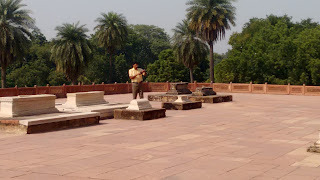 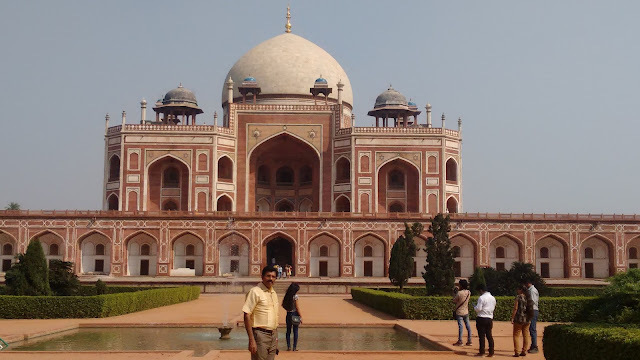 I was accompanying my cousin from Kerala on a tour of Delhi and were now at the famed Humayun's Tomb. 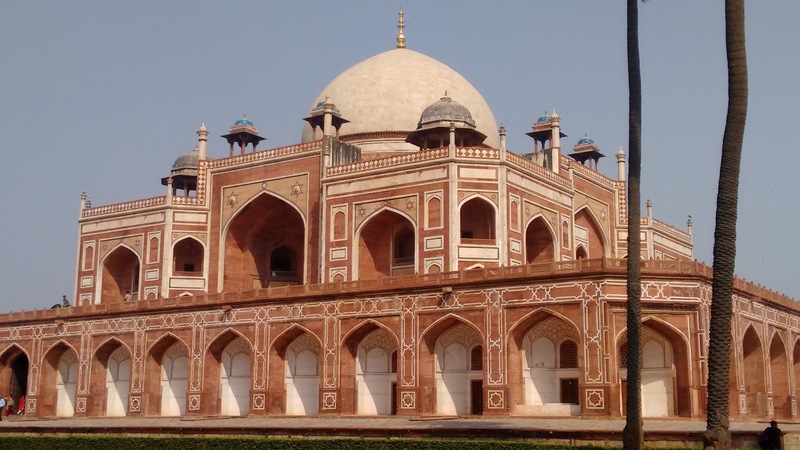 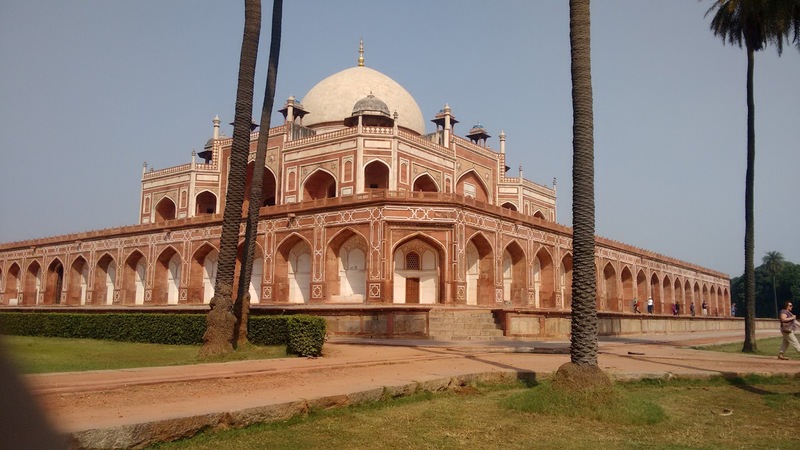 The Humayun's tomb is preceded by tombs of lesser known personalities, but the fun fact is that they are far better preserved. 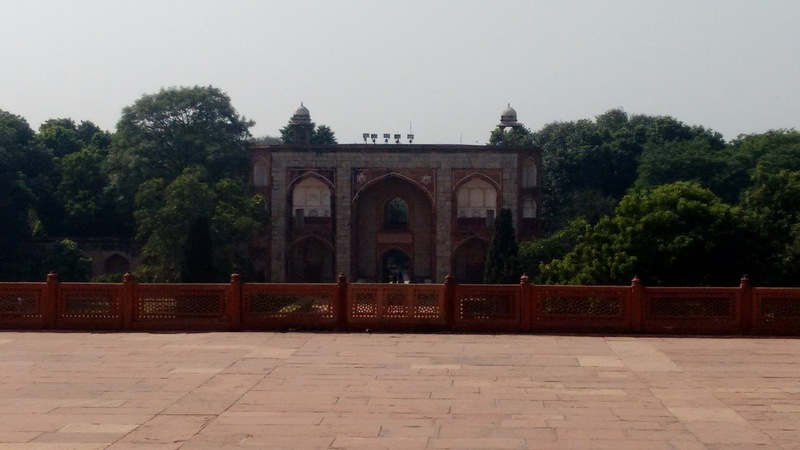 We were told that the Aga Khan Foundation along with the TATA trust had been engaged to restore the monument to its pristine past. And it was pretty evident. 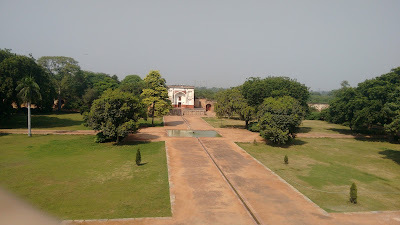 Humayun's Tomb, apart from Humayun's grave, also contains graves of other royal members of the Mughal family of the time.